Twin clothing is one of my favorite subjects. It's fun to dress twins in coordinating clothing every now and then, especially when they are babies and toddlers. We all realize that some parents will take measures to ensure that their twins do not dress alike...at all...ever. And that's okay too. For the rest of us it can be quite enjoyable, sometimes silly and even helpful. A great opportunity for fun pictures too! Below you will find loads of information on some of the best sites that carry unique clothing for twins. I have tried to narrow this list down to the most select sites offering clothes for twins based on relevance to twins, range of styles to choose from, good designs, ease of navigation, and overall appeal. 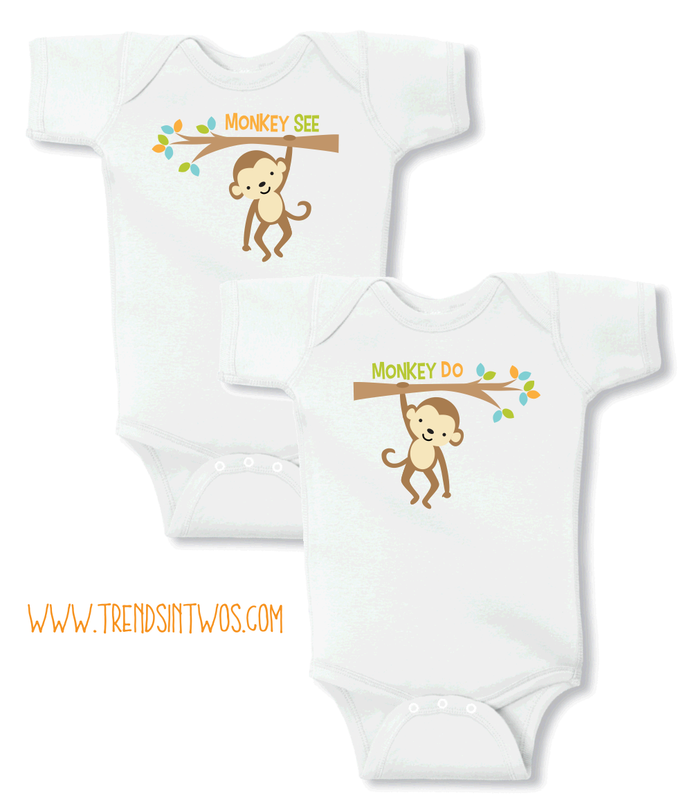 Since 2007 our sister-site, Trends In Twos™ has been offering a number of clever, offbeat designs on tees, rompers, sleepers, pacifiers, diaper bags, twin maternity tees, and more. This boutique is sure to please anyone shopping for cute, original twin clothing and matching outfits. Be sure to check out the fun Dr. Seuss - Thing 1 & Thing 2 line of clothing and gift sets, as well as sections for boy/girl twins, twin boys, twin girls, and gender neutral too. 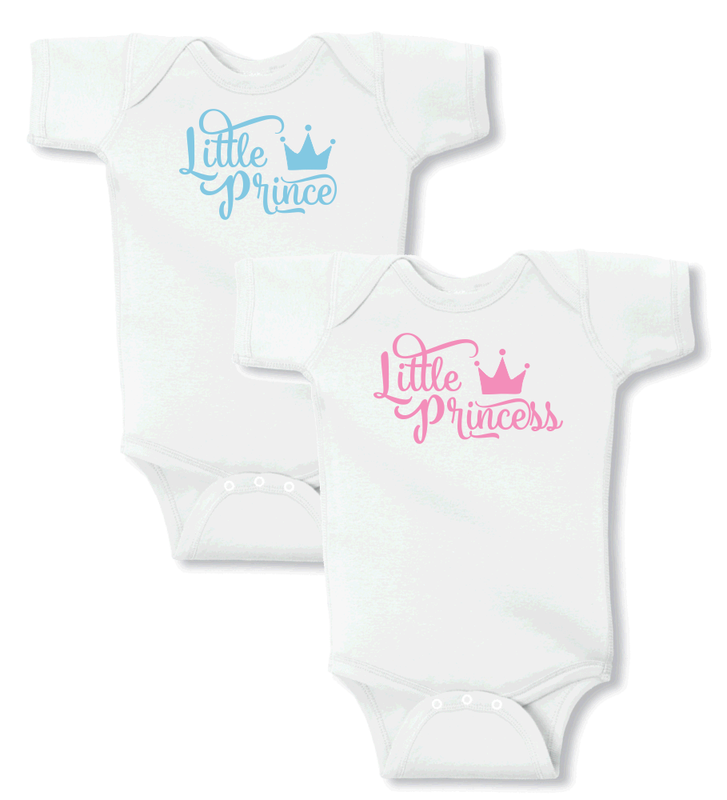 With a wide range of prices and the largest selection of coordinating onesies and t-shirts for twins, it's one you'll definitely want to browse! Trends In Twos also has a Cafe Press powered shop that is completely separate from the TrendsInTwos.com boutique and carries different twin designs, as well as great gift items for families of twins. They have lots to choose from on an assortment of products. If you are looking for boutique quality, coordinating outfits for boy and girl twins, look no further! 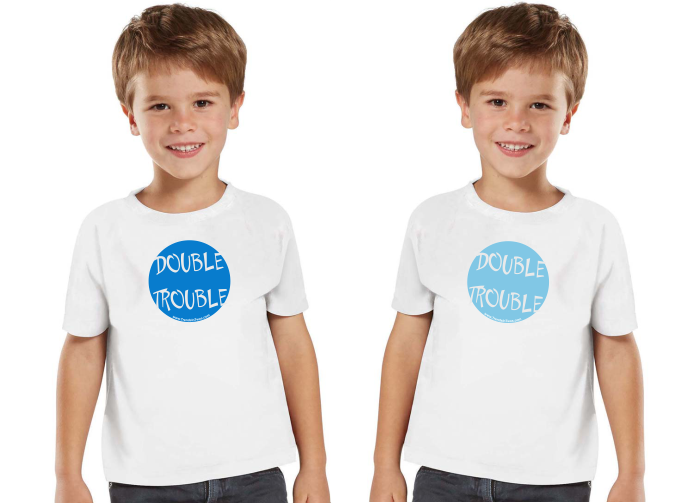 This site has one of the most extensive collections of twin outfits for boy / girl twins. Great for special occasions, holidays, or portraits. They're a bit on the expensive side, but of superb quality. You're sure to find the perfect matching set. 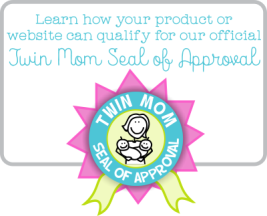 This friendly site offers lots of products for twins as well as higher multiples. 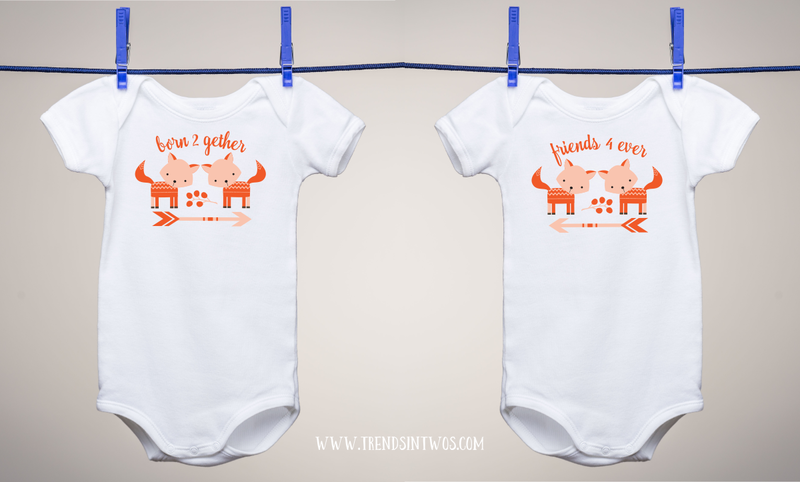 As far as twin clothes go, they carry some simple onesies, T-shirts and rompers with sweet, uncomplicated designs made for two. They also have some coordinated outfits for infant and toddler twins. Being able to personalize your twin's clothing is such a cool way to add some expression while celebrating the uniqueness of twinship - and this site offers the most user friendly interface to do just that! Choose from their simple selection of super soft clothing and other items in a hip range of colors. Then, you can add your personalizations right from your own computer, choosing your font and print color too. I have ordered from this site personally and have found their products to be of fine quality and quite affordable. The site's owner, Karen, provides warm and friendly service along with great shipping rates and easy returns. Gift wrap is also available. 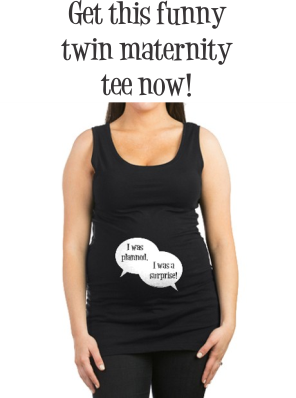 If you need to shop in Australia, then Think Twins is just for you! 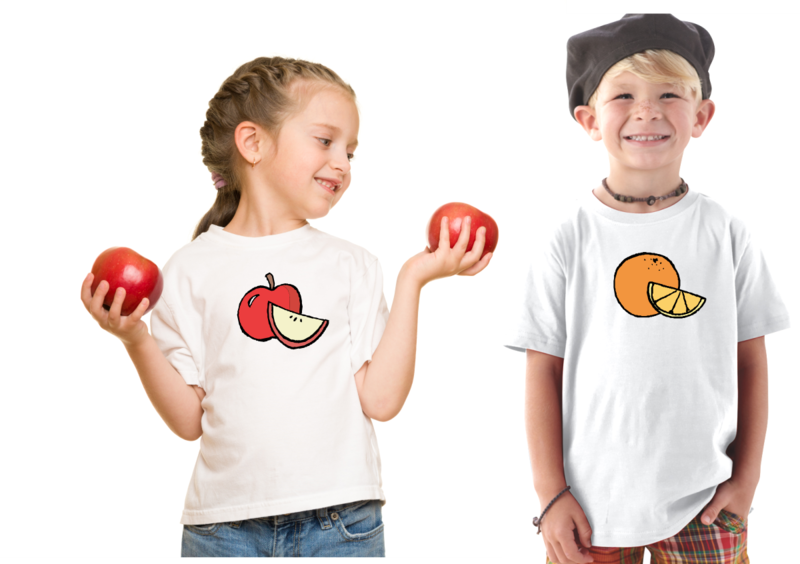 They have lots of adorable outfits, t-shirt sets, and more!